When it comes to selecting a glass installation and repair company, not all businesses are created equally. 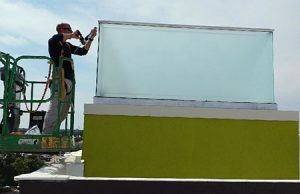 It’s easy to see right through the glass products we install every day, just like it’s easy to see through all the hype other companies may push your way. At McIntyre Glass, we believe that meeting our client expectations through honesty, hard work and attention to detail is the only way to run a business. We are committed to providing the best customer service and craftsmanship in the industry. This is something we don’t take lightly. Your business matters – and we value the opportunity to help with both your commercial and residential glass projects. Find out what all of our satisfied clients already know – when it comes to glass repair and glass installation, no one can compete with McIntyre Glass! Mon. thru Fri: 8 a.m. – 4:30 p.m.